I could imagine the smell of talc and a mixture of Barbicide, shaving cream and Old Spice. There would be those tall bottles filled with colorful liquids of unknown purpose. Lined in front of a mirror that reflected another mirror and the images faded to infinity. A glass carafe of burnt coffee and and the odor of snubbed out cigarette buttes in a sand filled canister ash tray. My heart warmed for a hot towel and a straight razor shave. I felt my Grandpa Jim walk by, nice. How the times change, sometimes even for the good. 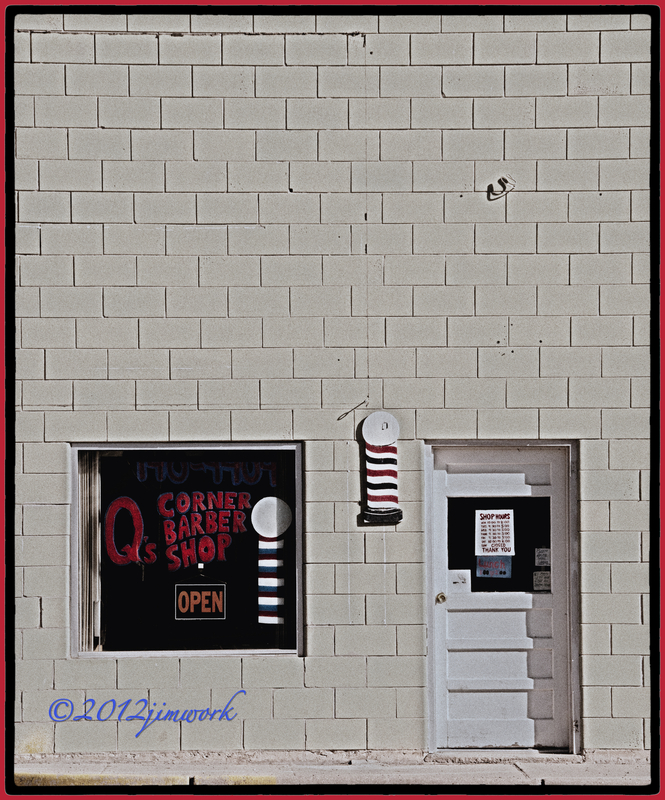 A lot from a quick glimpse of an old style, man’s barbershop in T or C, NM. How long has it been since you been in one?